JUVENTUS-Lazio, Conte keeps the pressure up! TURIN, April 8, 2012 – Lazio, Lazio, Lazio. And again Lazio. Antonio Conte will not allow any other thought in the minds of his players: neither eyes turned to the recent past (the slip of AC Milan against Fiorentina, Palermo’s match), neither reasoning, dreams, fantasies about the future. Tricolor which is or about and / or could be. 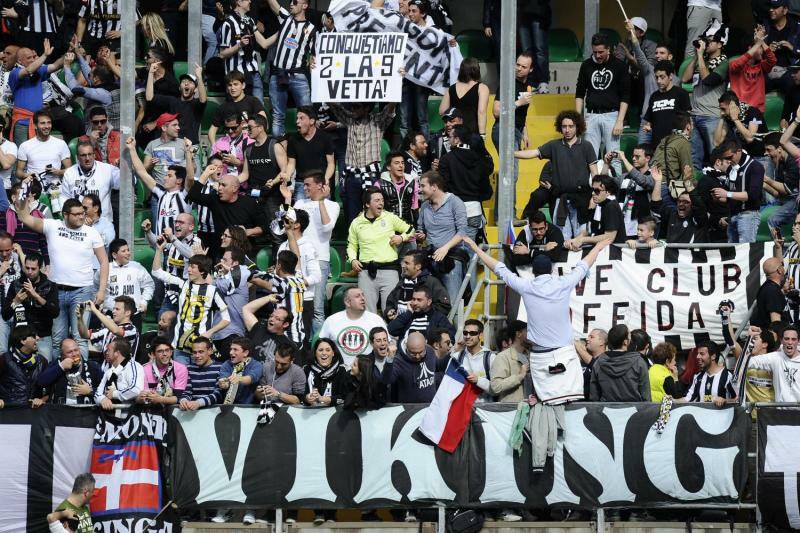 Even on, Easter Sunday, has planned a training session in Vinovo: because there is still so intimately to honor the festivities, for believers, while … Well a better surprise then the result of San Siro simply could not be in the Egg, for the Old Lady. WITHOUT STEAD So get to work immediately. On Wednesday evening, at 20.45, the midweek round puts Andrea Pirlo and companions in front of the white and light blue, survivors from the match against Napoli. Come by saying that the time to recover mental and physical energies is tight and there is no room for hesitation, and entertainment. The challenge is convincing, the opportunity is tempting. The first leg in Rome, ended 1-0 to the Bianconeri (Simone Pepe match winner): it was a direct clash at the top and those three points allowed the Bianconeri to escape, the first solo. Who knows … Conte does not want to leave anything to chance, is determined to goad the pride of his, to stimulate the level of concentration, to evaluate until the last the state of form of each and then choose the best formation. first leg sided with according to a 4-3-3, and also in this case are not to be excluded adjustments and modifications. With the classic problems to be solved “at 5-6 in the morning, when I have my best ideas …”. SOLD OUT The certainty, however, is that the public of the Juventus Stadium wants and will play its part, as usual: tickets for Juventus-Lazio were sold out since last Friday, the fever is very high. Considering the opening night, the league and the Cup of Italy it is the 18th sold out of the season. Juve, the secrets of Scudetto overtaking ? Group and gasoline!